Associate Professor in Enterprise Operations Management Vikas Kumar is working with Brazilian researchers from University of Fortaleza to investigate the role of farmer cooperatives in the promotion of sustainable organic food supply chains in Brazil and transfer best practices from the UK. As a part of this project Dr Vikas Kumar recently visited University of Fortaleza to deliver a two day workshop on Sustainable Supply Chain Management. The event was very well attended by more than 150 staff and students. 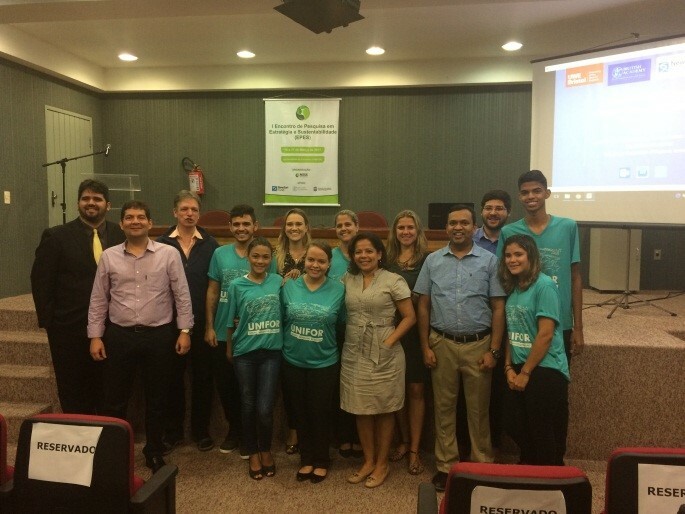 The workshop was jointly funded by the University of Fortaleza and British Academy-Newton Fund. Dr Kumar and Dr Daiane Neutzling are the principal investigators of the project. In the workshop Dr Kumar presented his talk on ‘Sustainability and Short Food Supply Chains’ where he discussed the potential linkages between the two topics. Other keynote speakers attending the event included Prof Stefan Seuring (Kassel University, Germany), Prof Marcia (The Federal University of Rio Grande do Sul, Brazil) and Prof Susan Pereira (The Escola de Administração de Empresas de São Paulo). 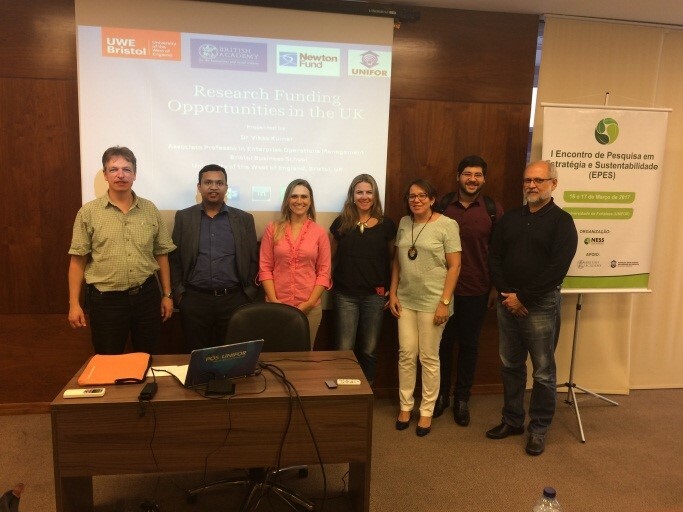 Dr Kumar also delivered a talk on current funding opportunities with UK for the Brazilian researchers and facilitated a mini-workshop for their current PhD students. Prior to visiting Brazil, Dr Kumar was invited to the British Academy office in London to give a poster presentation.